There are times, people, when I am very conflicted about whether or not to write a certain blog post. I like to keep things positive and I like to avoid controversy that can be detrimental to our community. That's why I debated for a long time about writing this, but in the end I decided that it was an opportunity to share some things that I have learned during my years spinning around the sun. You will note that I am not using any names in this post, and that is quite calculated. I don't wish to tarnish anyone's reputation. I rather wish that same consideration had been shown to me early this week. A couple of days ago I logged on to Twitter, and noticed I had some new "mentions"- for the Twitter-less this is when someone has mentioned your username in a "Tweet" or message. I checked them and was quite puzzled as the mentions were actually "retweets" (when someone re-posts an earlier message), and they were quite old. A month old, in fact, and pertaining to the East Meets West Dinner that featured Gary Mar. The tweets were between myself and two RMWB councillors who had attended the event. I found this puzzling, and then checked to see who had thought it pertinent to retweet month-old tweets - and was dismayed to discover it was another RMWB councillor. I was further dismayed to see that he had also retweeted two other tweets, from October 1, that had originally been tweeted by one of those same two RMWB councillors that had attended the dinner. At this point I was both puzzled and beginning to see a bit of red, because it appeared that I had somehow become caught up in someone's political agenda - and people, I don't like being used as a pawn in anyone's chess game. Almost instantly the Twitter questions began: Why was he retweeting month and days old tweets? Why now? Why, after the election for the PC leader, would he choose to retweet these particular things? What was the purpose? Was there some implication being made? I sat back and waited for the answer, because I too wanted to know. I had been dragged into this, and I wanted to know why. The first response from the city councillor who had chosen to retweet these messages was surprise. What were we talking about? What on earth did we mean? To me this seemed disingenuous, but I thought perhaps he really had no idea why anyone would be upset. When it was made clear to him why people were concerned - that it seemed there was some agenda, and that he had offended people, including his fellow councillors - well, then came his next response. The response? He was sorry for the "pocket retweeting". Yes, people, pocket retweeting. You've likely heard of pocket dialling, where your cell phone gets bumped in your pocket or purse and you end up dialling someone on your contact list. I've been on the receiving end of these calls and it's often annoying but funny, too. Pocket retweeting, though, didn't strike me as funny. It didn't even strike me as particularly plausible, since to pocket retweet not one but four different tweets, from different people, from two different time frames, and yet all relating to the same topic (Gary Mar), seemed, well, almost into the territory of Twitter miracles. I couldn't help myself. I responded with a tweet to all concerned that said "Wow, you have some amazing pockets! Mine just dial home ;)". Some humour, yes, but I was making a point - and the point said "Really? Is that REALLY your reply to what you've started?". Look, I've even googled "pocket retweeting". I found pocket tweeting, which occurs, but nothing about pocket retweeting. Maybe I'm completely wrong and this is a regular occurrence (which leaves me vaguely terrified by the possibilities). Maybe I could have a demonstration of this particular feat (in fact I'd really, really like that). Or maybe, just maybe, this could, and should, have been handled differently. There is great value in simply saying "I'm sorry, it was an error in judgement". And if you don't think you were wrong then you could stand by what was done and defend it, regardless of the consequences. If either of those options had been pursued I wouldn't be writing this blog post, because those are both respectable responses. To me, though, blaming something as implausible as pocket retweeting just doesn't make sense. It doesn't engender respect, it doesn't repair damaged relationships, and it doesn't resolve anything. Initially I was angry about this incident, about being pulled into some little game that had nothing to do with me. Now, though, I'm just disappointed. I'm disappointed that the simple words "I'm sorry" seem to be on the verge of extinction (at least, "I'm sorry", without some song and dance as an excuse). I'm disappointed that standing by what you've done (if you truly believe you've done the right thing) seems to be headed the same way as apologies. I'm disappointed an elected official saw fit to drag me, a citizen who holds no political office and has no designs on one, into something I never needed to be involved in. I'm disappointed that while one of the other people involved in this has apparently received a personal apology I have received no such consideration (it appears, as I suspected, that I was purely a pawn and now I am "collateral damage"). I'm disappointed to see a member of the city council that I hold in such high regard engaged in this kind of behaviour on a public forum. I'm disappointed that the term "pocket retweet" has now become a part of the jargon in this city. 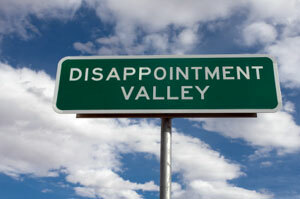 I'm past the city limits of Angry and down into Disappointment Valley - and it's not a happy place, people. October 7, 2011 - Please see this for a recent update. You raise an interesting point - when we put ourselves out there in cyberlandia, we've kind of opened the door to the (mis)application of our words and intents. We lose some of our privacy (agency even, ironically) this way - even if we aren't politically in office, we become malleable in ways of which we are not aware. In my work, it is making me hyper aware of the absolute weight our words can have online - I am conscious of making people I talk to in my research more visible than they should be. Otherwise, i take too long to clue in that i am getting lured into sharing a position that someone then wants to rip me to shreds over (losers), and think there is a certain OCD like high that comes from a first few retweets (but later can indeed have you seeing red). Pocket retweet, my heiny! Pocket dial, pocket tweet (usually blank, or a series of random characters) yes. But that many retweets about the same person? As my mum would have said, "Pull the other leg. It has bells on it." I do hope you get an apology, and I hope the person who did it takes responsibility. As we know though, accountability is a dying (or dead) word. Sad. It's pretty easy to find out who you're talking about, why not name names here?